niversity of Limerick today unveiled the new UL Glucksman Library, which has now doubled in size and capacity having added an extra 7,600 sq. metres to the original library building. The New Glucksman Library now includes a range of world class innovations in book storage and retrieval, digital research, accessibility and ‘inspirational learning spaces’. One stand out feature is the ARC (Automated Reserve Collection) - a 10 meter high book vault and robotic crane, with the capacity to store 500,000 volumes in a space 1/9th of conventional shelving, which will see UL’s historic collections, currently housed off-site, returned to campus. 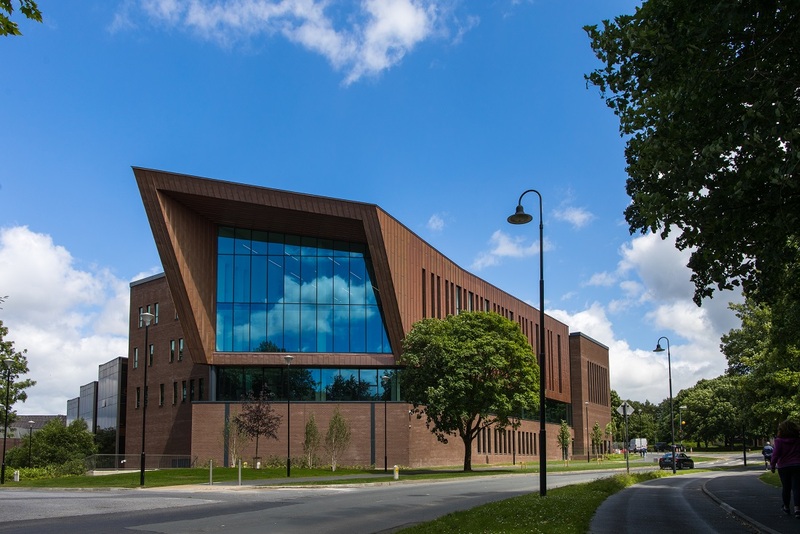 The building was designed by RKD Architects, led by Denis Brereton and UL’s Director of Library and Information Services Gobnait O'Riordan.